For those of you who have received the latest G.I. 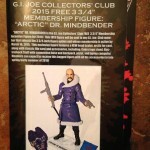 Joe Collectors Club official magazine for November 2014, there is a preview for the upcoming G.I.Joe Collectors Club 2015 Free 3 3/4 Membership Figure Arctic DR. Mindbender. Included in the preview is both the card art and the figure mock-up that will be shipped out late spring early summer. 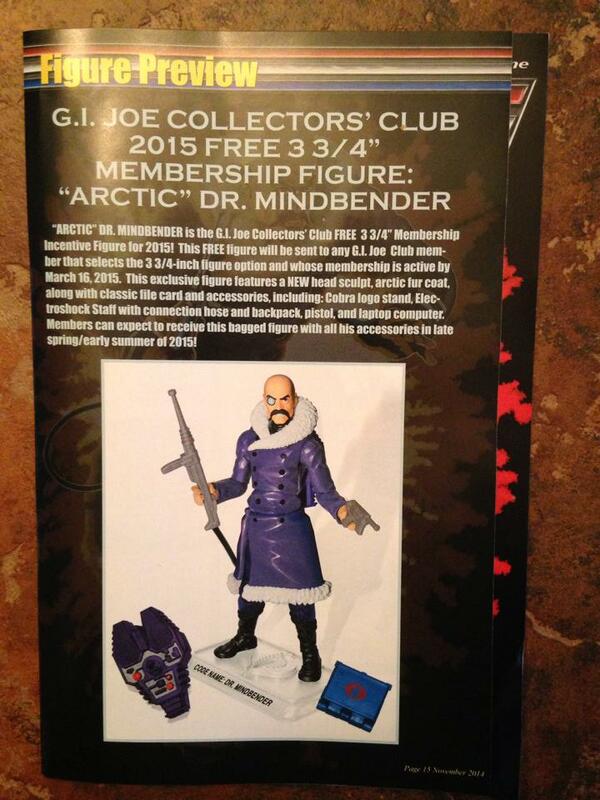 Check out all the new Arctic Dr. Mindbender images after the jump. So I guess the Club doesn't mind us posting scans now? I gotta say when they announced it I thought it wouldn't turn out very good. But I'm surprised and looking forward to getting this Mindbender. I'm glad they went the extra mile with making new parts. They took something that sounded pretty "meh" and made it look cool. Looks good. 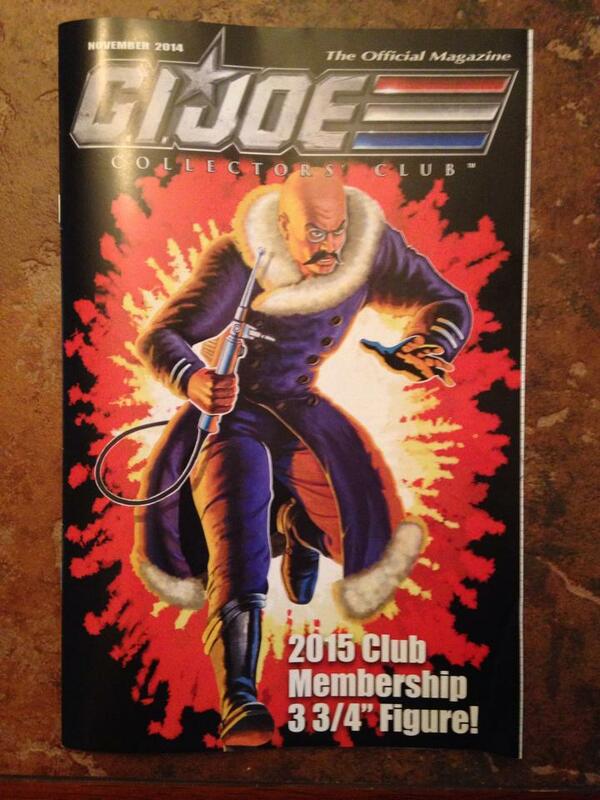 I like the cancelled Arctic Cobra Commander body they used. I hope to see that cancelled CC produced eventually. Great head on this Dr. Mindbender! Don't care for the body though. 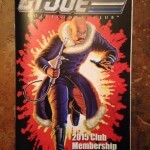 It looks as though the pics are from the Club's facebook page, or Destro gave Brian some "special attention" to earn the right to scan this magazine. Im happy that I signed up recently. Yeah probably not subscribing for this figure. The past few yrs have been hole fillers in my collection. I am so upset though I missed the Dial Tone year. I just did not have the extra that year. This Mindbender though does not fill a hole or a need in my collection. I guess though if you are into artic joes then he would be needed. Like the figure a lot. Much more impressive then I thought it would be. New head, collar and skirt.